Last September, Trevor Hohns proudly announced Mitchell Marsh and Josh Hazlewood had been appointed vice-captains of the Australian Test team. Hold the phone, just a heartbeat away from becoming the Test captain, the second-highest appointment in the land after the Prime Minister? Seeing vice-captains went out with cravats and knickerbockers, it was unfathomable they were appointed at all, let alone two. “It was not a process designed to find the next Australian Test Captain, but to find two vice-captains who will support and help drive the team’s goals and objectives,” Hohns said at the time. If Tim Paine was injured, was there a pecking order – a vice-captain, a second-in-charge vice-captain, or could a third possibility surface for the top job. Hohns never addressed those possibilities. At least Marsh was captain of Western Australia and Australia A, but not a first-choice Test selection. 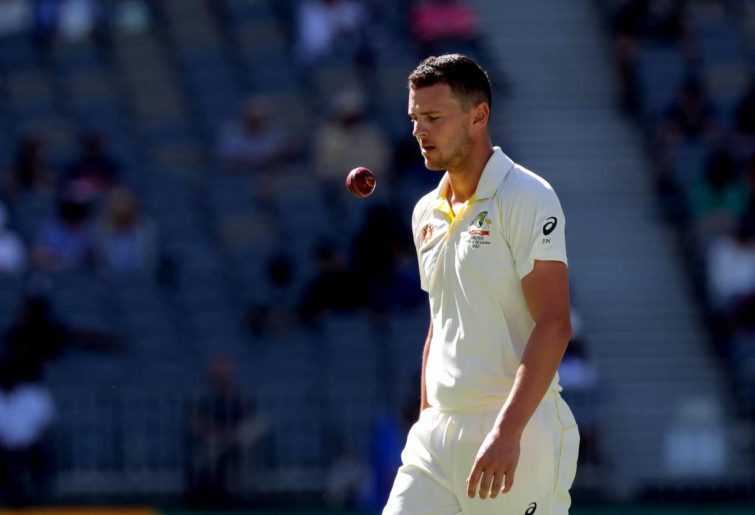 He was soon dropped for his run drought, so the vice-captaincy did him no favours, but there’s no record of Hazlewood even captaining a BBQ side. Little did most cricket tragics realise the appointments were made after a player vote and interviews, both organised by Cricket Australia. And who was on that panel? The three selectors – Hohns, Greg Chappell, and Justin Langer, doubling as coach – with the then chairman David Peever, board member Mark Taylor, team psychologist Michael Lloyd, and the then high-performance boss Pat Howard. A cast of thousands to appoint two vice-captains for the first time in Australia’s cricket history? You would think Hohns would learn from the original mistake, but yesterday he proudly announced two new vice-captains to take on Sri Lanka, with Marsh dropped and Hazlewood injured. Up came Travis Head, and Pat Cummins, ahead of senior members Mitchell Starc, Usman Khawaja and Nathan Lyon. So what happens if Paine is injured? Will Head and Cummins be co-captains, is there a pecking order between the two, or could a third possibility leap-frog the pair? Perhaps Pat Cummins, the best-performed of the current crop, has solved the problem. He reckons he’s far too involved out in the middle, busting his gut for the side. “I feel like I’m too busy in the game bowling and when I’m batting putting all my effort into that,” Cummins said this month. That’s OK Pat, you’ll be captain when you’re ready, but the various squad selections are off with the fairies as well.